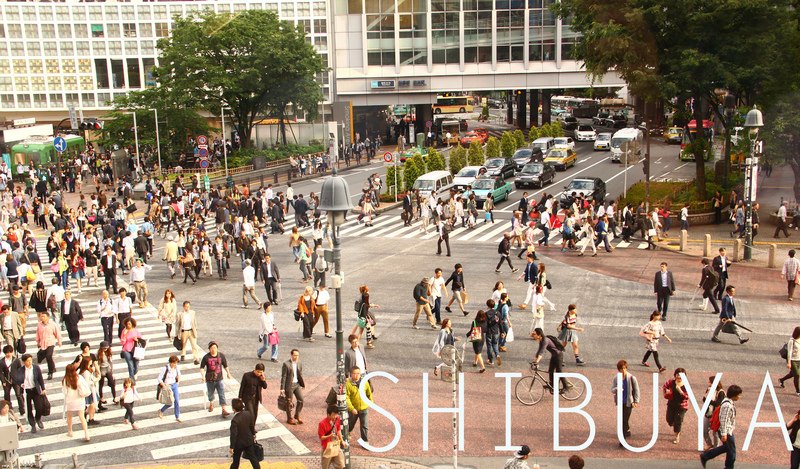 Exploring Tokyo like a True Tokyoite – well at least from my perspective. 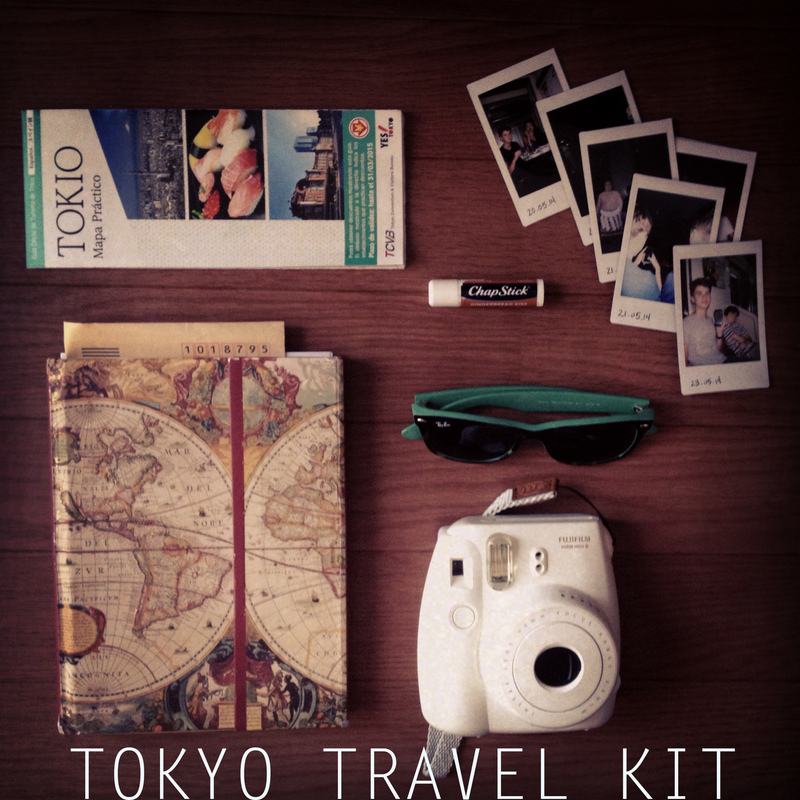 To permanent city dwellers, I probably looked like a very lost Gaijin. On the Shinkansen ride to Tokyo I thought about Hiroshima, Naoshima, Kyoto, and all the random locations I had adventured through around the country and I became very excited because what a better way than to wrap up Japan with our final weXplore in Tokyo? 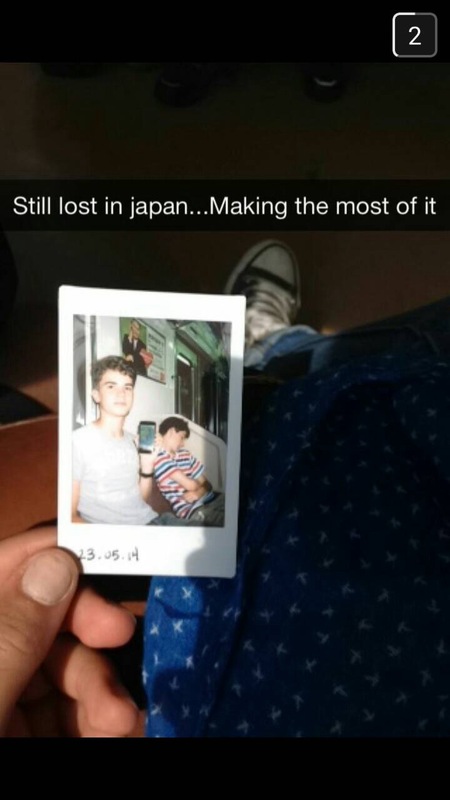 We have taken the Shinkansen a number of times before, and for trains I don’t think you can get any better. It is fast, clean, and stylish. It took us only 4 hours to travel from Hiroshima to Tokyo, just a bit more than double the time of flying – for not leaving the ground, I think that is pretty impressive. 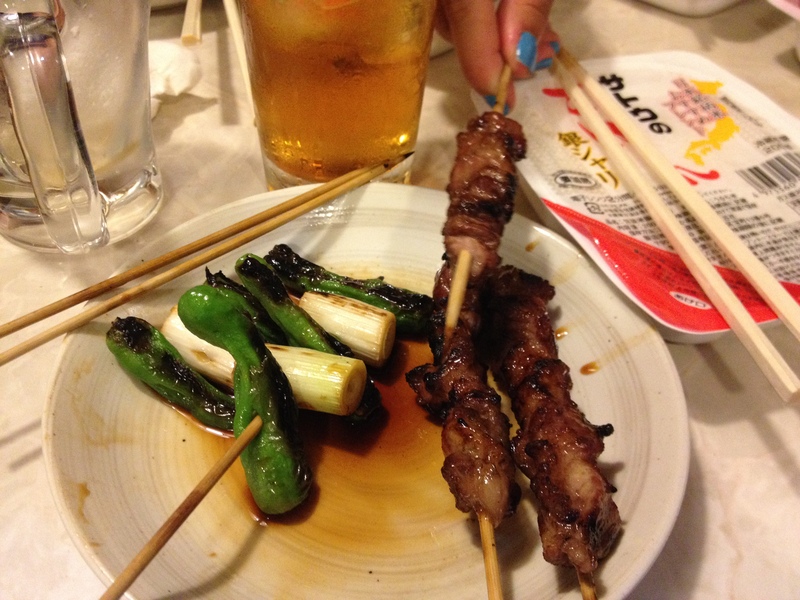 We were brought skewered meat, liver, uterus, heart, and vegetables. The next day city exploring began. Tokyo is completely different when the sun goes down, so waking up to the drizzly, yet nonetheless morning, sky it was as if waking in a new city. Some of us went to the art museum and others, including myself, went to the science museum, National Museum of Nature and Science to be exact. I remember distinctly the abundance of escalators and taxidermy. 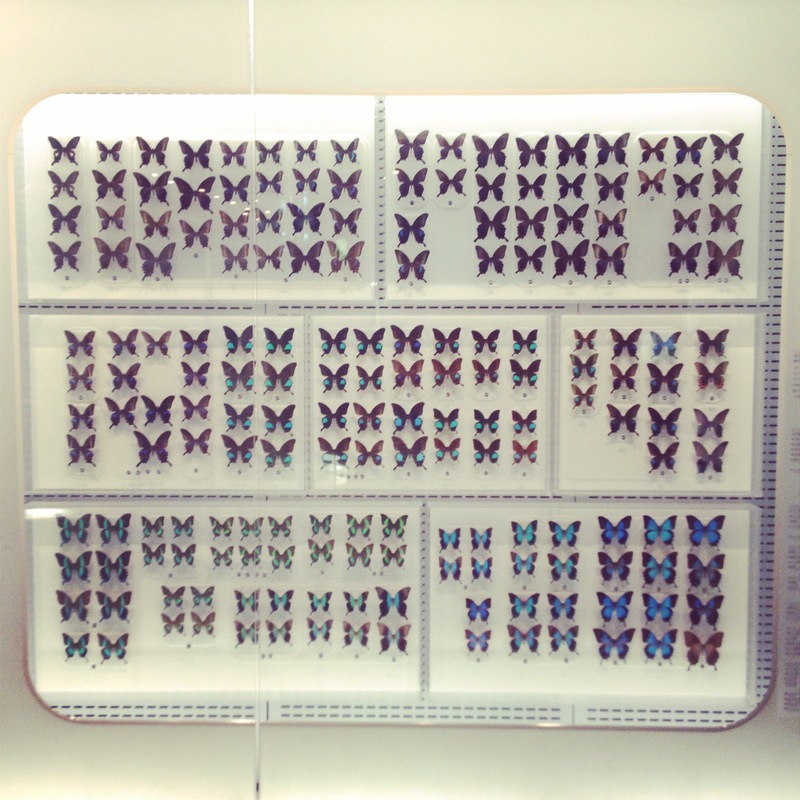 However, the insect exhibit also caught my attention, but perhaps simply because I had never before seen so many blue butterflies in one location. While I may not have been able to understand all of the signs and documents at the museum (considering my inability to speak Japanese besides an “arigato” or “sumimasen” here and there), there was no misunderstanding of our experience later that afternoon. 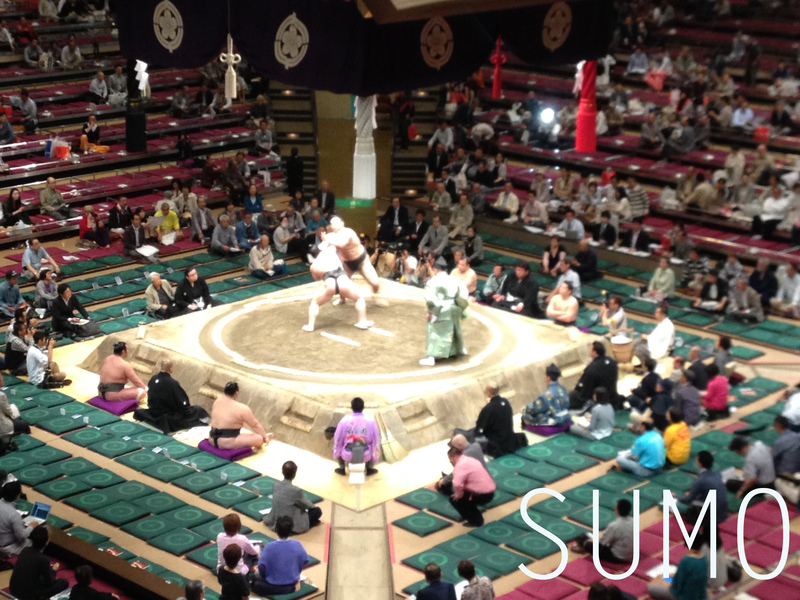 If sumo was a city, it would be Tokyo… I read that in the “Tokyoite” Magazine. The photo above was taken when we first arrived (keep in mind we stayed for 4 hours) and the stadium was packed within the next 45 minutes. Some of the wrestlers were quite agressive, some agile, some over 400 pounds. Never before had I seen such a display, but I will admit we became very involved. We discussed which man we thought would win and how and cheered when he did. 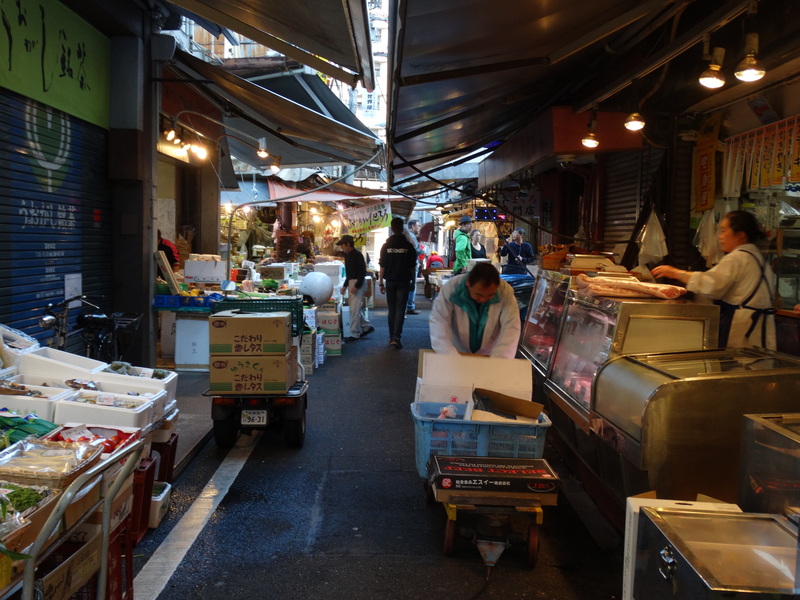 Seriously speaking, I did go back and forth on whether or not eating fish was “right.” The morning before we left for Tokyo we watched a documentary (Sushi: The Global Catch) on sushi including where the fish came from and what they do to it. I will leave further research up to you (if you are interested in the subject), but I highly recommend taking the time to recognize what you are eating and where it comes from. 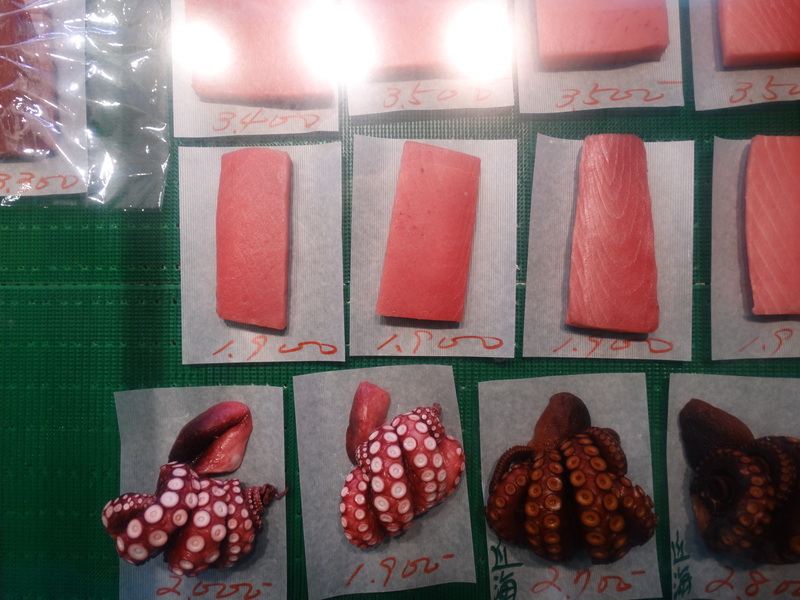 This fish is transferred all over the world, and is kept “fresh” with a lot of chemicals. Genetic modifications are also being made to the fish. Find more information specifically on genetic modifications and processed foods on my podcast here. We do not discuss fish, but we talk a lot about where our food comes from, which is different considering 5 different countries are represented in the conversation. Oh and the picture of the fish above? That is a tuna. 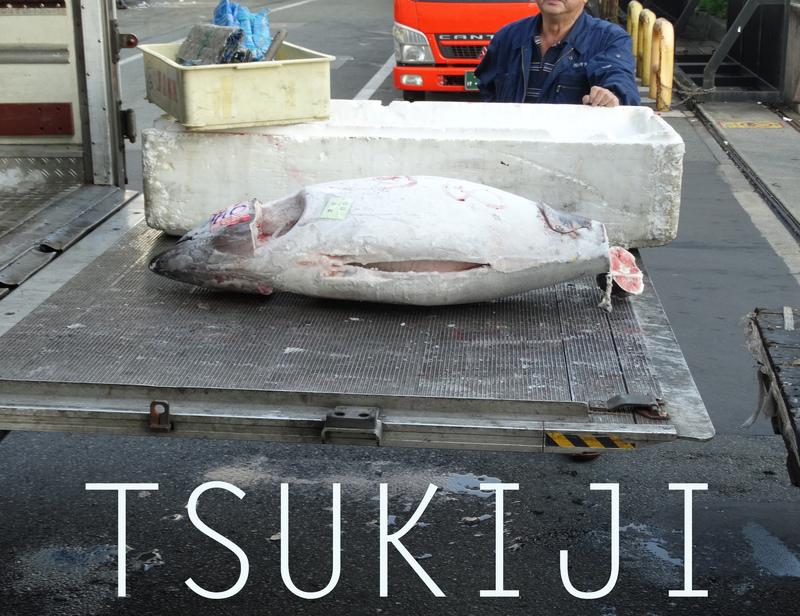 It is the most expensive fish they sell at the Tsukiji Fish Market. (A whole fish like this one is sold for about 100,000USD.) Do some research on it though… or watch the documentary. People watching central. Literally hundreds of people cross the road like this once a minute. I could not even comprehend how many people were here and it was quite fascinating to see all these people crossing this road. It seems like a somewhat odd thing to be so intrigued by, I know, but I couldn’t help but find it entertaining. This somewhat reminded me of NYC when I stood in Times Square and just took a minute to look around and recognize just how many people were around me. No matter where I was looking around, I knew each person had a story of their own and whether crossing this road or that square would be a memorable moment or a habitual action, it fit into their lives. They all had somewhere to go and a place to have come from, and I think that is what I find so intriguing. Long story (5 hour story) short, we traveled 40K south of Tokyo by accident. It took us the whole day to get back and various trams. On the brightside, we visited Odaiba and Yokahama. There isn’t much else to say on this occurrence, but if you have the time, go get lost in the city. Any city. By the end of the day you will have a better understanding of how it works than you ever would by looking at a map. The whole of Tokyo I was apprehensive about this home stay, but in reality I had nothing to worry about – it was actually one of the highlights of my week there! 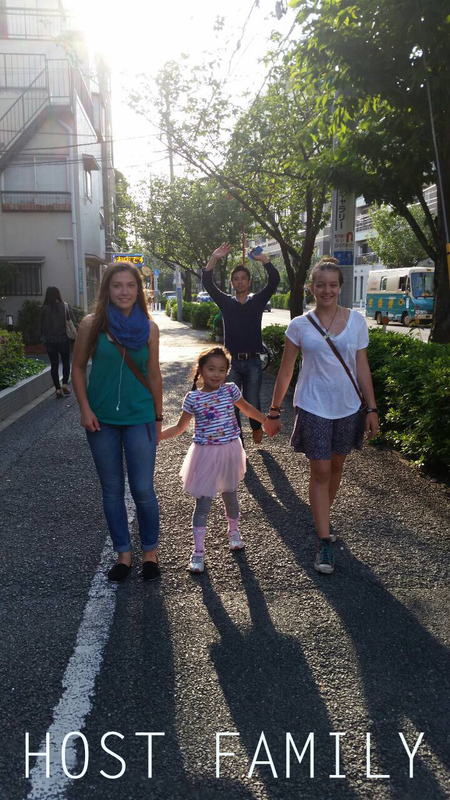 Danielle and I stayed with a sweet couple and their adorable daughter who showed us what it was like to be a “Tokyoite,” kind of. It was not what I was expecting, but when is anything exactly what I expected? A piece in the back of my mind thought their daily lives would be recognizably different from my daily life, but staying with them made me realize just how similar we are. Overall I have found this true to wherever I go; the quotes and conversations are true. We are all similar, and even if we know that, I don’t think we really grasp it until being thrown into the unknown waters. In class this year the questions “What does it mean to be Japanese?” or “What is Japan’s culture?” are discussed constantly. At this point I am willing to argue being Japanese is similar to being American or Moroccan or German, and while each culture is unique to each country, the underlying details and explanations are the same. I will continue to come back to this thought as I continue to travel, and I hope you take a moment to think about it too.